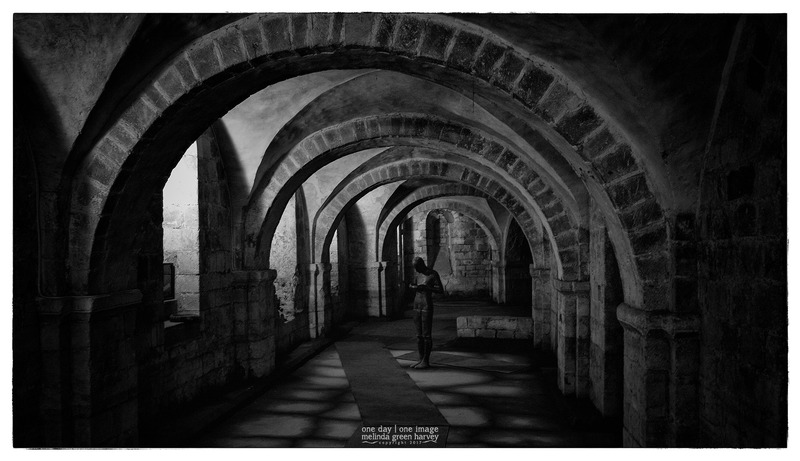 This mysterious man stands in the cathedral’s crypt. The sculpture was made by Sir Antony Gormley, who cast it in lead from a plaster model of his own body. During rainy months, when the crypt floods, the statue is standing in water. Posted on June 22, 2017, in Photography and tagged 365 photo project, architecture, black and white photography, church, england, learning to see, Leica, melinda green harvey, monochrome, one day one image, photo a day, photography, postaday, Sir Antony Gormley, thoughtful seeing, winchester, winchester cathedral. Bookmark the permalink. 11 Comments. Thanks, Sue. The docent told us the artist and his wife collaborate on the sculptures. She wraps him in plaster-soaked material, cuts him out when it’s set, and that’s used for casting the pieces. It kind of gave me the creeps to think about being INSIDE all that plaster! Crikey! I wouldn’t like to try that! Ugh. Me, either. I got the creeps just hearing the description. Love the shot and story ! Thanks, Richard. The docent at the Cathedral was very interesting. It was a great piece. I’d like to see it when there’s water in the crypt. Maybe on my next trip…?